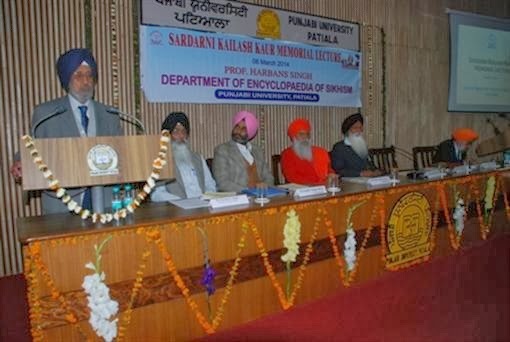 PATIALA: Professor Harbans Singh Department of Encyclopaedia of Sikhism of Punjabi University, Patiala, organised Sardarni Kailash Kaur Memorial Lecture in the university on 5th-7th March 2014. A renowned Sikh scholar Bhai Ashok Singh Bagrian presented his lecture on the topic Religious Understanding and Social Harmony – Nanak’s way. 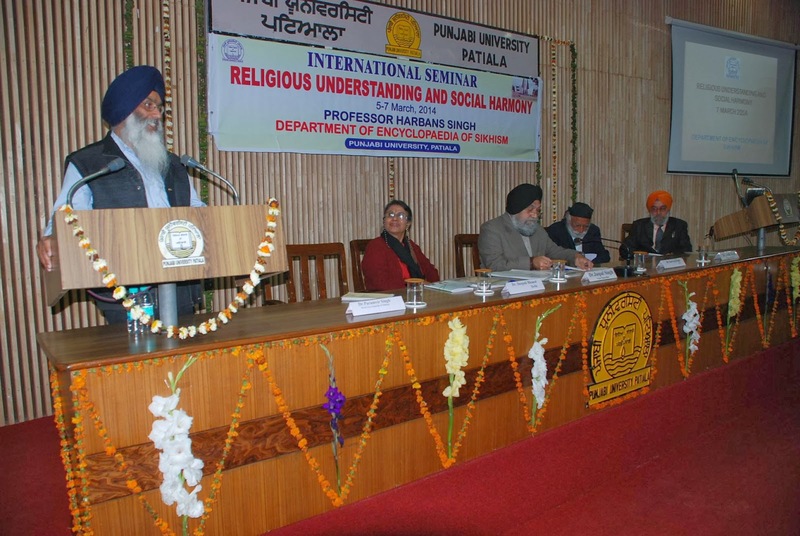 S. Gurbir Singh Brar delivered a special lecture on this occasion and Dr. Gurnek Singh, former Vice-Chancellor, Sri Guru Granth Sahib World University, Fatehgarh Sahib, presided over the Lecture. Sant Baba Jodh Singh Ji of Rishikesh graced the occasion with his presence. Focusing on the topic Bhai Ashok Singh Bagrian said that Guru Nanak stressed the need of religious harmony that starts from within. Harmony of religions should be measured from religious tolerance. To recognize and respect the existence of other religions and defending their cause if need be is real spirit of harmony. To maintain communal harmony, both majority communities and minorities have to work together to create an atmosphere of acceptance and harmony. In his special lecture S. Gurbir Singh Brar highlighted the glory of Nihang Singhs who kept the flame of freedom burning even in the adverse socio-religious situation. They proved themselves as the real custodians of the ideology of Guru Granth Sahib and created a spirit of brotherhood and harmony in the society. 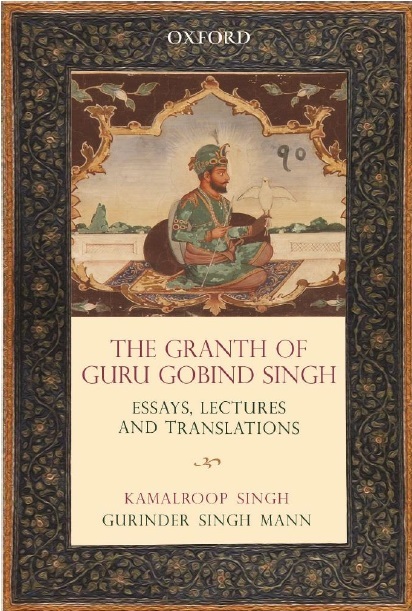 In his presidential address, Dr. Gurnek Singh acclaimed Bhai Ashok Singh Bagrian for giving such a brilliant lecture on Religious Understanding on the basis of Guru Granth Sahib and S. Gurbir Singh Brar for presenting a slide show focusing social harmony created by Nihang Singhs in the 18th century. While sharing his experiences of the Department he said that the Encyclopaedia of Sikhism, four volumes, is an authentic and monumental work produced by Prof Harbans Singh. This commendable effort of the Department has highlighted the spirit of Sikhism in the globe. Dr. Paramvir Singh, HOD, gave a detailed introduction about the theme and importance of the Memorial lecture. Jan Brzezinski from Canada, Dr. Swaraj Singh, USA, Professor D.A. Gangadhar, BHU, Varanasi, Dr. Deepali Bhanot, S. Harinderpal Singh, Chairman, Gurmat College Delhi, Dr. Narinder Kumar, Dr. Anekant Kumar Jain, Bhavna Malik, Delhi, along with number of faculty members and students were present on this occasion. Prof. Jodh Singh proposed the vote of thanks.